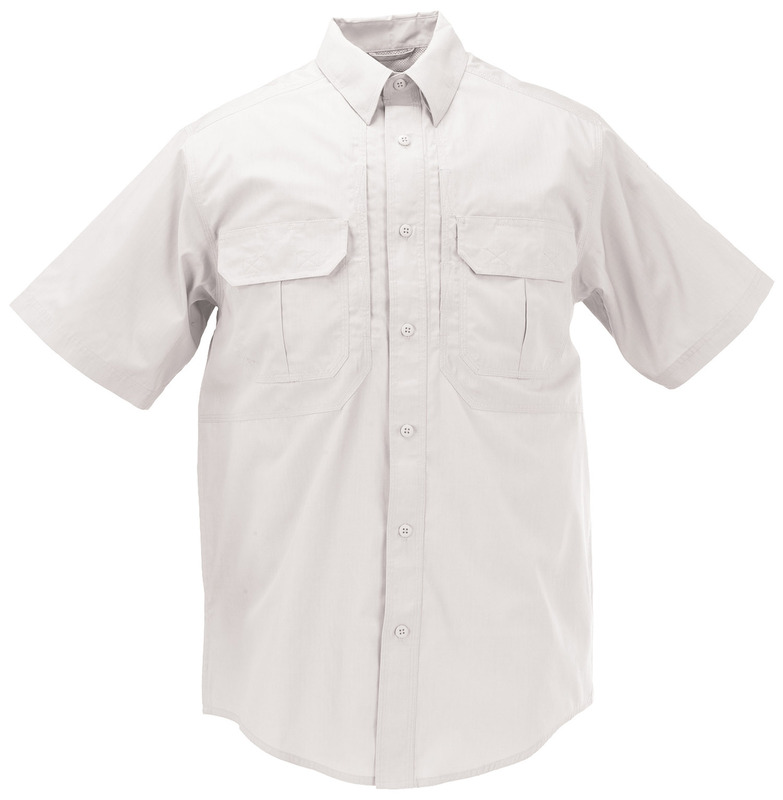 5.11 Taclite Pro Short Sleeve Shirt is a popular design worn by law enforcement, military and emergency service professionals for on or off duty wear. The polyester-cotton ripstop fabric is treated with Teflon to resist stain, liquid and soils for a professional appearance all day long. A cape-back mesh panel offers maximum ventilation to keep you cooler in warm weather. This shirt is outfitted with plenty of storage options to keep your documents and accessories close at hand.